Diana believes that with the right support, every individual can reach their maximum potential, and achieve their goals, no matter the obstacles or labels thrown their way. With an inherent love of helping others, and a mindset that learning is a lifelong process, Diana was drawn to the field of Special Education. Described as an individual with a “contagious energy and passion,” Diana has found ways to step outside the norm and connect with students (and families) with a wide range of backgrounds, experiences and frustrations. With the addition of a Bachelor of Science degree in Special Education, a Master’s degree in Instructional Technology, and a vision that no individual should settle for a label, Diana has devoted her life to helping individuals fulfill their dreams. Diana’s driven to help individuals prove to both society and themselves, that no matter the challenges they face, they can exceed all expectations. Diana’s firm belief that every single student deserves a truly individualized education, and first-hand experience witnessing the impact one-on-one instruction and technology can have on students of all ages, lead her out of the classroom and to Special Ed Resource. 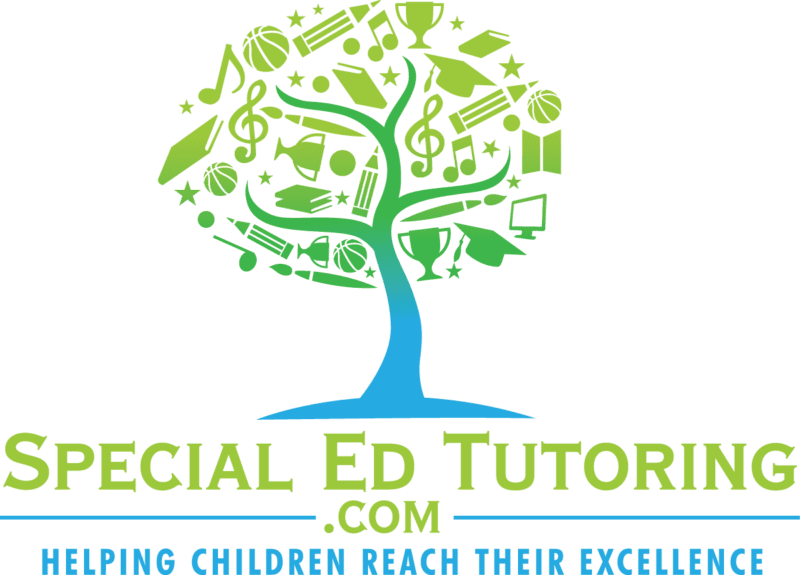 Diana shares her dream of ensuring all individuals have an equal chance to reach their goals with all of the compassionate tutors at Special Ed Resource. Amanda Wagoner is a compassionate, caring, and hardworking educator who received her Master of Arts in Teaching: Special Education: K-12: General and Adaptive Curriculum from the University of North Carolina-Charlotte. 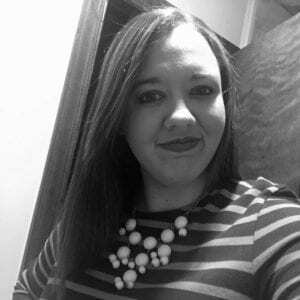 Amanda has a vast knowledge of the Special Education world ranging from early childhood, elementary, middle, and high school. Amanda has a strong background in assistive technology and working with students in all disability categories. Amanda’s personal journey through the world of Special Education has made her the educator she is today. Amanda believes all students can learn regardless of ability. She believes each student learns at his/her own pace, and rapport is established when a nurturing positive environment is present. Amanda knows each student has strengths and weaknesses and learning takes place when focusing and building on their individual strengths. In her years as a Special Education teacher, Amanda has utilized technology to increase students’ success. Amanda’s past and current experience teaching online has opened a world of opportunity for the students she teaches. Amanda’s love for and positive outlook about technology, has enabled her to make online learning fun and exciting for each and every student she teaches. 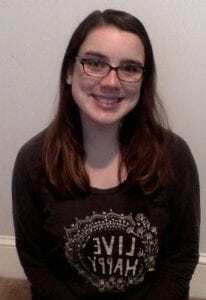 Amanda is excited to be part of the Special Ed Resource Team who share the same common values and ideas that she holds near and dear to her heart! She is thrilled to be teaching your child. Inspired by Rita Pierson, a longtime American educator, Erin believes that every child deserves a champion: “an adult who will never give up on them, who understands the power of connection, and insists that they become the best they can possibly be.” She became an educator to ensure that every child she encounters has a champion, regardless of race, religion, socioeconomic status, or ability level. Every child is unique, exploring information and discovering knowledge in their own way and at their own pace. Yet, every child is capable of success. In order to facilitate this success, Erin builds strong, positive relationships with each of her students. By establishing an open rapport with the students, she is able to learn each child’s strengths and weaknesses—thus understanding what it takes for each child to succeed. She is able to create learning opportunities that build on strengths and support weaknesses. Instruction is differentiated so that every child is able to reach his or her highest potential. 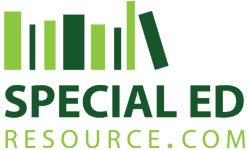 Special Ed Resource is such an extraordinary company because it allows tutors to do just that—differentiate instruction to meet each student on their level. Erin is proud to be a part of a team that truly cares about each and every student, and she looks forward to working with your child. Laura Young is described as a compassionate, caring, hardworking, patient, and loving teacher. Laura believes that all children have the ability to learn in their own unique way and it is her job to provide them an education that meets their needs. Laura wants all students to learn, feel loved, and feel happy while at school. Laura believes the best way to reach a child, is building a strong relationship and a collaborative connection with families. Laura Young always knew she wanted to be a teacher; ever since she was a little girl. She has been in the field of education for over 10 years and has obtained a Bachelors in general education, a Masters in Special education, and is currently working on her Doctoral degree in education leadership, focusing on Special education leadership. Laura has taught general education as well as special education. Laura has taught every grade level from Kindergarten to fifth grade, while also working with students across all grade schools in a variety of manners from Kindergarten to 12th grade. In addition, Laura has been teaching virtually for four years and is experienced in the online platform. Laura is so excited to start a new journey reaching new students and helping them to be successful! Teresa is passionate that education plays a major role in the future of every individual, and that all students regardless of ability or background, have potential for success. 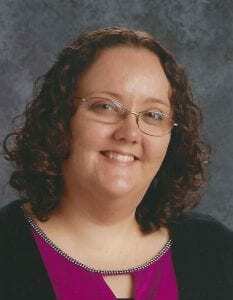 She has spent the last fourteen years serving students with special needs. She has a Bachelor’s Degree in Elementary Education and a Master’s Degree in Special Education. Her education and experience have strengthened her overall understanding of how to teach diverse learners. Teresa was also recognized as a North Carolina Educator of Excellence for 2016-2017. Through her role as an educator, Teresa is continually growing and learning. Each day, she is inspired and challenged to meet the needs of diverse learners. She has a passion for teaching and firmly believes that all students are capable of success, with effective interventions and support. She is very data-driven when looking at meeting student needs. She is constantly working to find, implement, and share evidence-based instructional strategies to help all students reach their greatest potential. Above all, she wants to instill a love of learning in student, through building a positive relationship and applying engaging teaching strategies. Teresa is very excited to join the Special Education Resource team and begin serving and getting to know your child! Carolyn is described as an educator who enjoys meeting the educational deficiencies of her students. She is compassionate, patient, and flexible in finding the right instructional method that works best for your student. This is because all learners learn differently. Carolyn has a background in being an English as a Second Language teacher and also has worked in the public school system as a Special Education Teacher for grades K-4. Carolyn received her Bachelor’s degree from Sacred Heart University in Fairfield, Connecticut in Sociology with a minor in Business Administration. Since her passion has always been working with children who have special needs, she decided to go back to school to pursue her Post-baccalaureate certification in Special Education – General Education for Grades K-12. She is currently a licensed teacher and looks forward to working with you in order to meet any educational needs you or your child may have. Taylor Fulcher is described as a kind, compassionate, and loving educator. She is passionate about reaching her students in any way possible. Taylor believes that all students are capable of learning and making growth. She can be described as “an out of the box thinker, flexible, and someone who truly cares about her students”. She believes what George Evans has to say about students “Every student can learn, but not in the same day or same way.” She is a huge reader and enjoys children book authors such as Beatrix Potter, Roald Dahl, Drew Daywalt, and Dr. Seuss. She has an Undergraduate Degree in Early Childhood and Development from Liberty University with a minor in Psychology and a Masters in Special Education K-12 General Curriculum. Although she has only been an educator for a few years, she has many different experiences working with children who have Special Needs. She has been a huge supporter and active participant with The Special Olympics. 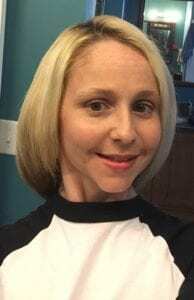 She is currently the Lead SPED Teacher at her elementary school, an active member on the Virginia Tiered Support System, and she is also on the Assistive Technology Team for her School System. Through engagement, a strong relationship, and fun skill based lessons, Students can be successful and enjoy learning new things. Teaching is understanding that every child is unique. Through specially designed instruction and differentiated instruction, Melissa believes every child has the ability to learn and become a lifelong learner. As an educator, she is dedicated to enabling each child to critically examine the world around them. 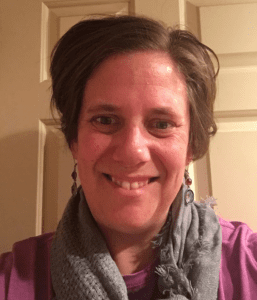 She strives to provide learning experiences that allow students to make personal connections, remain engaged, and celebrate their individual skills, talents, and abilities. Melissa has been in the field of education for over 20 years. 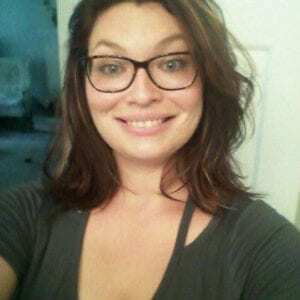 She holds a degree in Special Education K-12 from Millersville University in Pennsylvania. Through the years, she has taught all ages from preschool to adults. She is a certified Wilson Reading instructor but loves teaching math as well. Melissa has extensive experience in online education and strongly believes in the effectiveness of online education. Melissa has been married to her husband, John, for 19 years. She has three children- Morgan (17), Kyler (14), and Reese (12). She loves scrapbooking, travel, and is a competitive cheerleading coach.